it will be paid forward as that makes us communities and humans. This house was built in 1956, but was never occupied until 2010 when he decided to move in. The reason it was vacant for so long is still a mystery. But the homeowner said that when he moved in, all of the appliances that used to be state of the art, were still in their brand new, original condition. They even had the original owner’s manuals taped to the sides. While I have a lot of questions about why this house was vacant for over 50 years, I sure am glad the homeowner decided to take pictures of this preserved gem, and share them for all to see. This kitchen is adorable, with the completely original counter tops and appliances. It might be a little pink for some people’s tastes, but when designed in the 1950s, pink had a much deeper meaning. First Lady Mamie Eisenhower’s favorite color was pink. Her love for pink inspired a whole country when it came to decorating their bathrooms and kitchens. Mamie loved pink so much, she made sure that the cotton balls she used were also pink. The group recently distributed 500 food and clothing parcels following a successful Christmas fundraising programme, but is already looking for more donations to help others in the New Year. “Poverty does not disappear when Christmas ends,” said David Thomson, Destiny Angels director. Destiny Angels was established by the Destiny Foundation in 2009, a non-demonitional church, to offer support to those who find themselves destitute for whatever reason. Crippling government austerity measures are forcing schoolchildren in Scotland to go hungry, steal food from their peers and develop mental health issues, teachers have claimed. An Education Institute of Scotland (EIS) survey, which quizzed more than 300 primary and secondary school teachers about life in Scottish schools in 2015, found there had been a 51 percent rise in the number of children going to school hungry. One in five respondents identified an increase in the number of times pupils stole food from their peers and asked teachers for sustenance, according to the findings. The EIS also reported a 22 percent rise in the number of children older than the P3 age group, which ranges from 6 to 8, taking free school meals. Attendance at free breakfast clubs increased by 27 percent, with a 7 percent increase in the number of parent referrals to food banks, findings show. “It’s not unusual for students to steal food from the staff room because they haven’t been given a packed lunch,” one secondary school teacher from Edinburgh, who chose to remain anonymous, told the EIS. “There’s an unbelievable level of poverty which I see every day,” the teacher added. It appears the hunger crisis had also caused pupils to develop mental health issues. Nearly three quarters of teachers surveyed said they had noticed a 71 percent increase in the number of children displaying signs of anxiety, stress and low mood. Disgusting footage has emerged of a midwife appearing to bite and hit a four-day-old baby in hospital. It shows the moment that the suspect reaches into the child’s crib and savagely begins to attack, at the SofiaMed hospital in Bulgaria. The nurse has been charged with attempted murder and was arrested after the child was seen to be suffering.According to one news source, a medical check revealed the baby had a fractured skull and brain haematoma. This ad for men’s underwear. 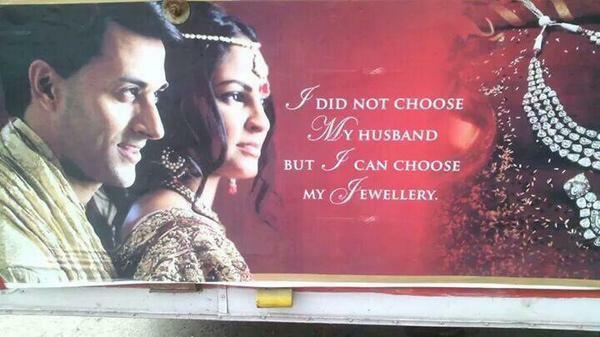 …Which doesn’t feature a single man, but a wife getting preeeetty stimulated washing her husband’s underwear. At first glance, Psilocybe cubensis doesn’t look particularly magical. In fact, the scientific name of this little brown-and-white mushroom roughly translates to “bald head,” befitting the fungus’s rather mild-mannered appearance. But those who have ingested a dose of P. cubensis say it changes the user’s world. The mushroom is one of more than 100 species that contain compounds called psilocybin and psilocin, which are psychoactive and cause hallucinations, euphoria and other trippy symptoms. These “magic mushrooms” have long been used in Central American religious ceremonies, and are now part of the black market in drugs in the United States and many other countries, where they are considered a controlled substance. How does a modest little mushroom upend the brain so thoroughly? Read on for the strange secrets of ‘shrooms. The compounds in psilocybin mushrooms may give users a “mind-melting” feeling, but in fact, the drug does just the opposite — psilocybin actually boosts the brain’s connectivity, according to an October 2014 study. Researchers at King’s College London asked 15 volunteers undergo brain scanning by a functional magnetic resonance imaging (fMRI) machine. They did so once after ingesting a dose of magic mushrooms, and once after taking a placebo. The resulting brain connectivity maps showed that, while under the influence of the drug, the brain synchronizes activity among areas that would not normally be connected. This alteration in activity could explain the dreamy state that ‘shroom users report experiencing after taking the drug, the researchers said. What you’re looking at is a restaurant’s Christmas day menu during the five month-long siege of Paris at the end of the Franco-Prussian War. The French capital was surrounded by the soon-to-be German Empire, its citizens bombarded into surrendering and starved into submission. A dire shortage of food supplies into the city saw the Parisian diet change quite drastically. Consommé d’Elephant → Elephant soup. Le Civet de Kangourou → Kangaroo stew. Le Chat Flanqué de Rats → Cat flanked by rats. Oh, and lest we forget the stuffed donkey’s head as the hors d’oeuvre. 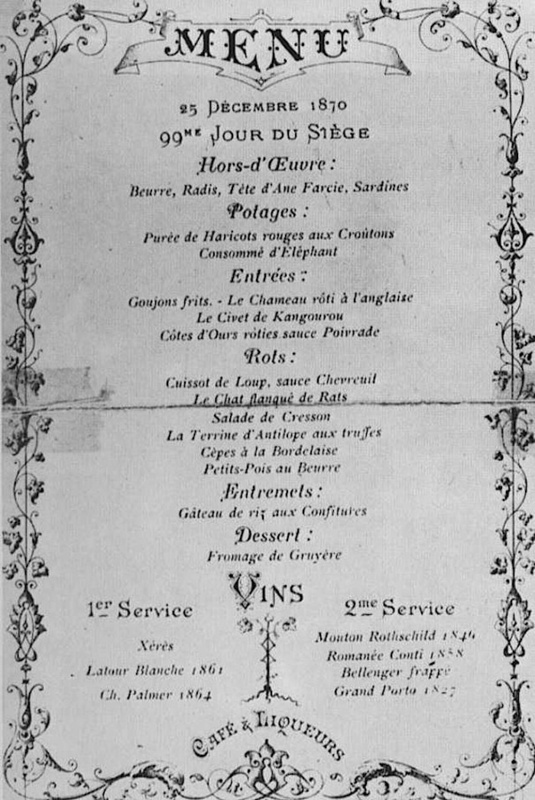 This menu was cooked and served by the great Parisian chef, Alexandre Étienne Choron at one of the fanciest restaurants in Paris once upon a time, Voisin, located on Rue Saint Honoré. By now in its fourth month, the siege of Paris had brought the population to near starvation. 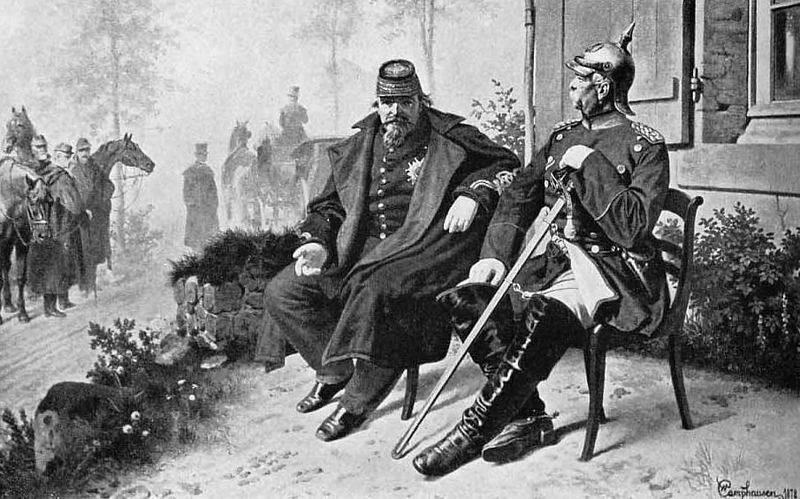 Napoleon III, a man of astoundingly terrible judgement, had infamously declared war on Prussia over some he-said-she-said, alleging the Prussian emperor had insulted him. (It actually makes modern politicians seem like saints). Prussia’s prime minister Otto von Bismarck with a strong and obedient army at the ready, was all too happy to go to war and suggested shelling Paris to ensure the city’s quick surrender. The King of Prussia, said to be a chivalrous man, didn’t like that idea, so instead it was decided that the capital would have to be starved into surrender. Ishaq Khalil Hassan’s mother, Amna Hassan. GAZA — Something drove Ishaq Khalil Hassan, 28, into the Mediterranean last week, to walk naked in the shallow surf, to attempt what has become all but impossible for Palestinians: an escape from the Gaza Strip. 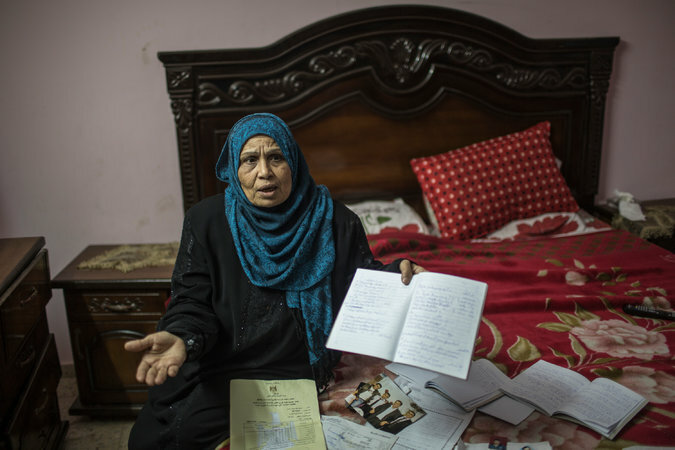 Palestinian officials insisted that Mr. Hassan, who tried to wade across the border into Egypt on Thursday, was mentally ill. His family said he was sane, but desperate — he had been trying all year, unsuccessfully, to legally enter Egypt for medical treatment for an old injury. “Ishaq thought that Egyptians will be like Europeans, who deal with Syrians and welcome them,” said his brother, Ibrahim Hassan. But as soon as Mr. Hassan crossed the frontier, Egyptian border guards opened fire, spraying the sea with bullets while ignoring a Palestinian guard who whistled and frantically gestured with his hands that Mr. Hassan had mental problems. A video that captured the shooting made at least one thing clear: Mr. Hassan appeared to pose no immediate threat to anyone. When the firing stopped, Egyptian soldiers pulled Mr. Hassan’s apparently lifeless body from the water, as the camera kept rolling: an image that evoked the perilous journeys of migrants across the Mediterranean but also laid bare the hemmed in lives of Palestinians in Gaza, unable to wander even a few steps from their own borders.